Preventative and proper vehicle maintenance goes beyond regular auto check-ups. Preventative vehicle maintenance does not imply conventional servicing; itâ��s a proactive plan to prevent emergency costs that often spiral into thousands of dollars. Car owners who invest in proper car maintenance can look forward to reaping several significant benefits. Preventative vehicle maintenance involves inspection of components that are not usually checked during regular servicing. In-depth vehicle maintenance would involve inspection of car heating, brakes, lubricant level, ignition system, suspension system, emissions system as well as fuel filter check. This comprehensive inspection helps improve car performance. Buying a good car is a big investment for most of us. Preventative maintenance at top auto service Edmonton centres helps extend the life-span of your vehicle and thus helps you enjoy the maximum value for your hard-earned money. Monetary rewards are one of the biggest benefits associated with preventative vehicle maintenance. Firstly, the depreciation value of the vehicle is reduced. A well-maintained car is more likely to attract improved depreciation rates. In future, if you should decide to sell your car, you can expect to get a better price for it. In addition, preventative care will reduce the need for repair work, thus reducing costs. Regular, scheduled vehicle maintenance also helps you plan your expenses and finances better instead of spending in an ad-hoc manner. Proper tire repair can help identify problems like abrasions, cracked sidewalls, bulges and penetrations before they result in tire failure. An expert from a reputed auto repair shop will be able to determine if the tires have sustained structural damage. Preventative tire maintenance can also help maintain cornering stability and steering precision. An under-inflated tire, for example, can generate heat in the rubber compound, thus causing tire failure. 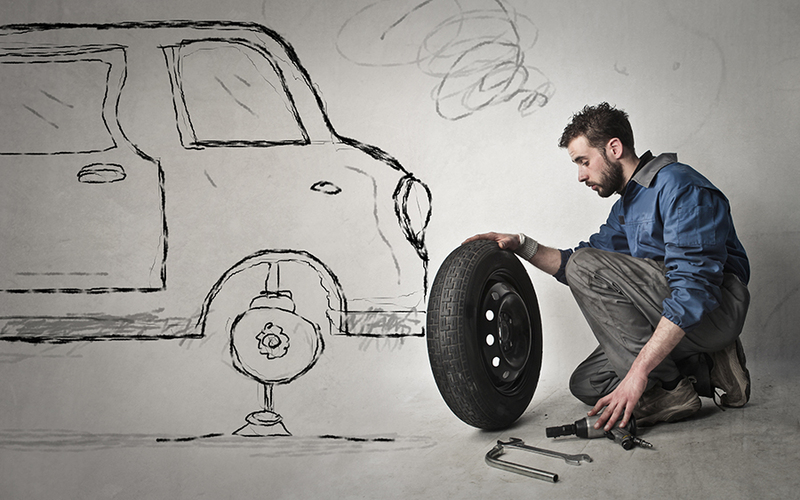 Regular vehicle maintenance can help prevent repair costs from sky-rocketing. Preventative tire maintenance can also help maintain cornering stability and steering precision. June 17th 2014What's Involved in Vehicle Maintenance and How Should You Schedule It?2014-06-17 09:00:00Vehicle maintenance is vital to keeping your car in good shape. The key to getting quality service is to work with the right Edmonton auto repair shop. November 11th 2014Top 5 Vehicle Maintenance Tips That Will Help You Save Money2014-11-11 09:00:00When it comes to vehicle maintenance, it is important that you check the fluid levels of your car�s radiator, battery, and brake and clutch daily. December 30th 2015Why Winter Vehicle Maintenance Matters: Increased Safety During Harsh Weather Conditions2015-12-30 09:00:00Edmonton tire repair professionals suggest that the right tire pressure helps distribute the weight of the vehicle across the tire tread patterns.